Wall, NJ: The new PharmafillTM CS2 Cotton Inserting machine from packaging machinery manufacturer Deitz Co., Wall, NJ (www.Deitzco.com), automatically separates cotton from continuous rolls into individual pieces up to nine inches long and inserts them into the center of solid dosage bottles fast, safely and with 100% accuracy. Engineered with a proprietary design, the automated CS2 Cottoner features a novel pinch roller system that converts the roll cotton, rayon or polyester into plugs then forms them into an inverted U-shape for insertion at high speeds up to 90 containers per minute without requiring blades or cutting of any kind. Safety concerns and line downtime for blade sharpening and replacement are eliminated. 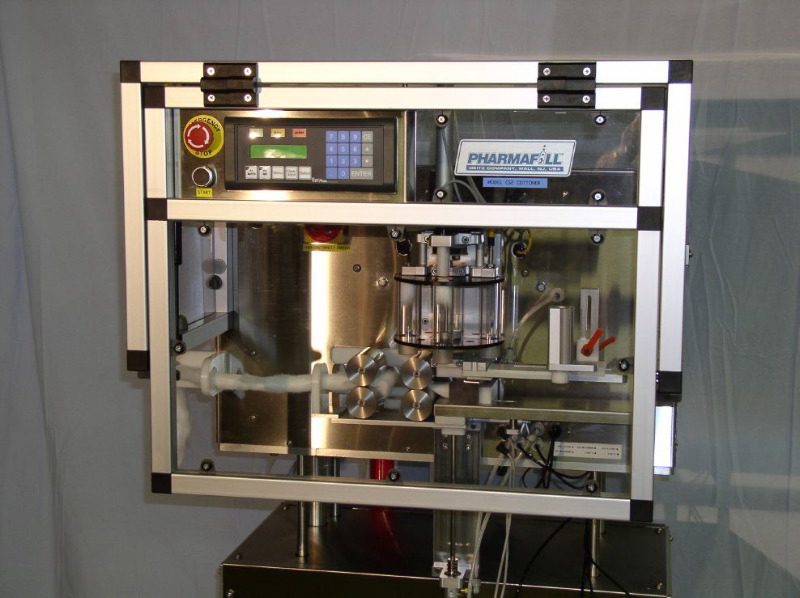 Developed and manufactured in the company’s New Jersey headquarters, the Pharmafill CS2 Cotton Inserting machine comes with a sensor array that continuously monitors bottle position and cotton supply status and automatically stops operation if bottles are backed up or missing, or if the cotton roll is ready for replacement. Transparent insertion tubes behind a clear enclosure invite safe, easy visual monitoring of performance without stopping the machine or checking individual bottles. Ideal for pharmaceuticals, nutraceuticals and other oral solid dosage products, the CS2 Cottoner combines food-grade stainless steel, anodized aluminum and polycarbonate construction for compatibility with sanitary filling and packaging operations. The cotton inserting machine comes with a motorized lift platform to adjust the height to existing conveyors and packaging lines.